Rosatom’s international marketing arm – Rusatom International Network (RIN) and the Association of the Hungarian Atomic Forum (AHAF) have signed a Memorandum of Understanding at Х International Forum ATOMEXPO-2018. The parties agreed to share professional information within Paks II Niclear power plant project. They also decided to cooperate in order to reach the targeted level of localization in Hungary. RIN and AHAF will work together on “involving the widest range of Hungarian suppliers for the effective realization of the Paks II NPP project”. According to the document, its parties will also organize bilateral conferences and seminars, to inform target groups on actual issues of nuclear energy. 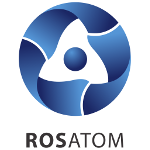 Rusatom International Network is a non-profit organization within the Rosatom. It develops and manages a network of 11 foreign regional centers. The main tasks of RIN are: business development, promotion of Russian nuclear industry’s products and services on the global market, international communication support for Rosatom.